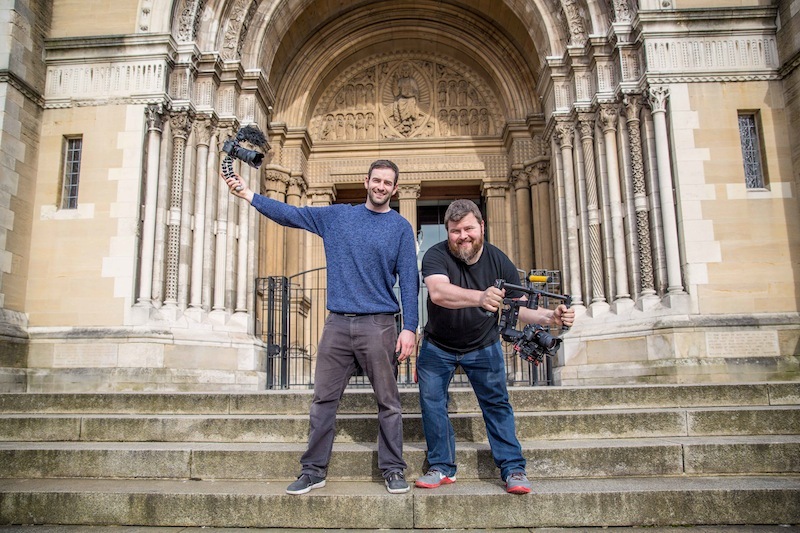 The Power of Video conference will return to Belfast on 26th May to a new venue, Belfast Cathedral, a new festival format and a new line-up of speakers to “celebrate the rising power of online video”. This year’s format will have something for all ages and skill sets, from up-and-coming content creators to experienced filmmakers, businesses interested in the power of video for marketing, and fans of the high-profile YouTube and social media stars and influencers scheduled to appear. Event organisers and filmmakers Billy May and Damien Gallagher of Speed Motion Films (above) have announced the first batch of speakers including renowned director and filmmaker Philip Bloom, who has worked for Lucasfilm, CNN, Sky and the BBC; comedian, author and social media star Arron Crascall; and Ireland’s Cian Twomey and Emily Rochford. Zack Nelson from Jerry Rig Everything and Dan and Lincoln Markham from What’s Inside will make a return for 2017. For the business-focused part of the event, Denis Crushell of Tubular Labs and formerly head of sponsorship, EMEA for YouTube will explain video strategies for businesses, organisations, and brands. LINKS: The event website and where to buy tickets.